Editor’s note: This is a guest post by Hope College student, Allyson Hoffman. You may reach her at digitalholland@hope.edu. Start your experience with Digital Holland today. Imagine yourself on a scavenger hunt, but the list of items to gather has been sliced and scattered around a city. By the time you gather the pieces of the list, you’ve spent days, months, maybe even years running back and forth, passing all of the items you were supposed to pick up, but didn’t know. Although hyperbolic, this scenario mimics the struggles researchers face when trying to locate sources. Historians could travel across the world, gathering artifacts for their work, only to discover that there are dozens of other necessary pieces out there somewhere. The internet has helped expedite the research process, but traveling between websites can be time consuming and frustrating. Furthermore, if the artifacts aren’t digitized and hosted on a site, the researchers cannot access them. 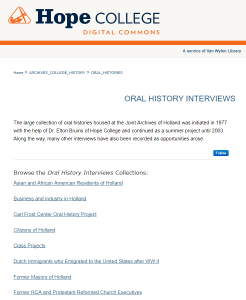 The purpose of Digital Holland Michigan is to make the research about Holland, Michigan easier for everyone to locate—from the scholar to the amateur historian to the curious individual. 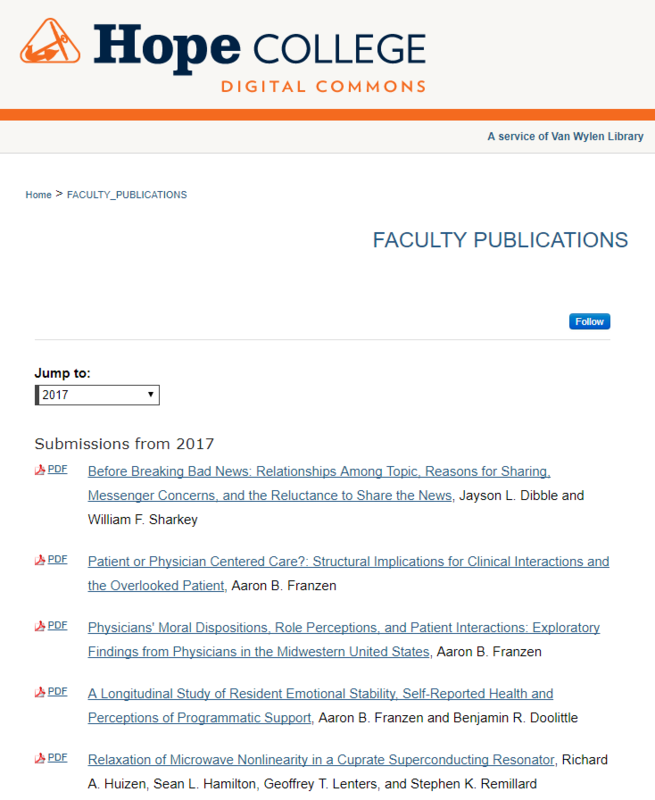 The public-accessible website hosts digitized artifacts such as images, audio and video files, as well as text summaries written by several contributors. 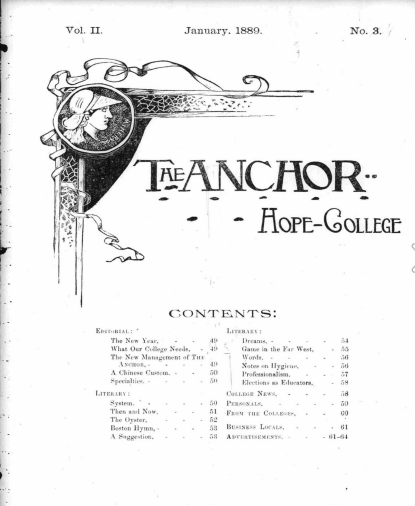 In two months, the Digital Holland Michigan team has created over 100 pages about the people, places, and events in Holland, as well as pages about Hope College, the liberal arts college in Holland, and historical maps of the city. But the work is just beginning. 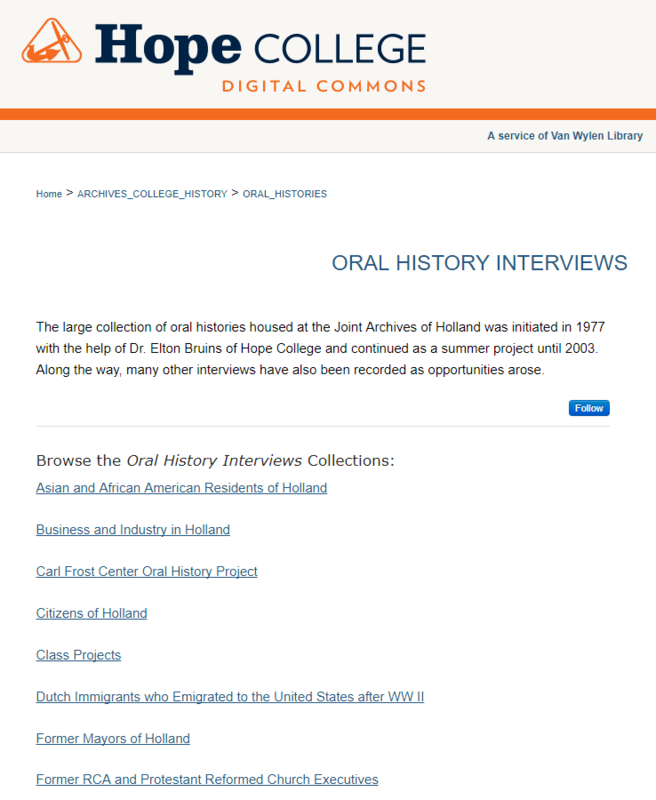 The goal for Digital Holland Michigan is continue adding artifacts from the Joint Archives of Holland, the Holland Museum, and items donated by community members. As long as life in Holland continues, so will history—and so there will always be something to add to the website.